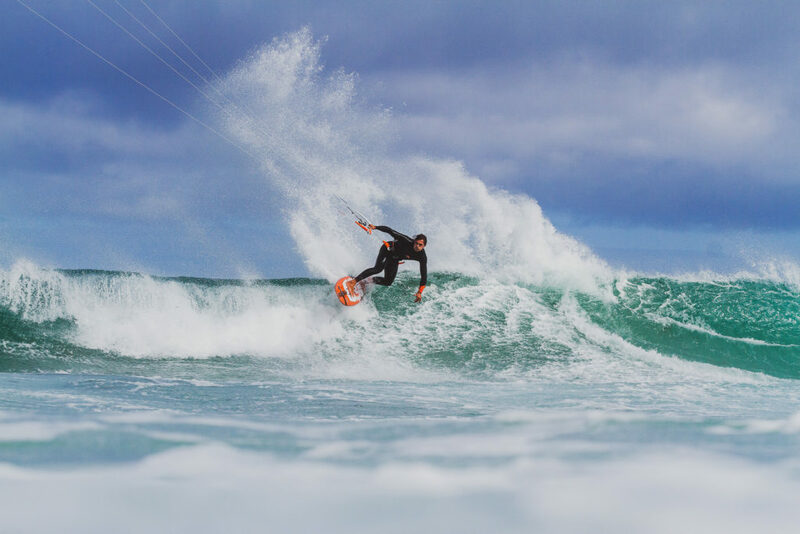 We chatted to pro kitesurfer Carl Ferreira – a vibrant and super talented athlete who is a homegrown Capetonian, learnt to kiteboard at 10 and is now making waves and catching big air on the international circuit. Q: What are your major successes in your kitesurfing career? Achieving 1st at the South African Kitesurf Champs. Placing 2nd in the worlds biggest kitesurfing race. Also recently signing with an Italian Kitesurf brand called RRD (Roberto Ricci Designs) was a great achievement for me. Q: Where have you traveled kitesurfing and what’s your favourite spot? I’ve been to many different places such as Mauritius, Spain, Portugal, Morocco and more. One of my favourite spots in right here in Cape Town in front of my house. And of course, I must rate One Eye in Mauritius as definitely one of my best spots to ride! My dad taught me how to kite when I was about 10 years old. Ever since then I’ve been hooked. 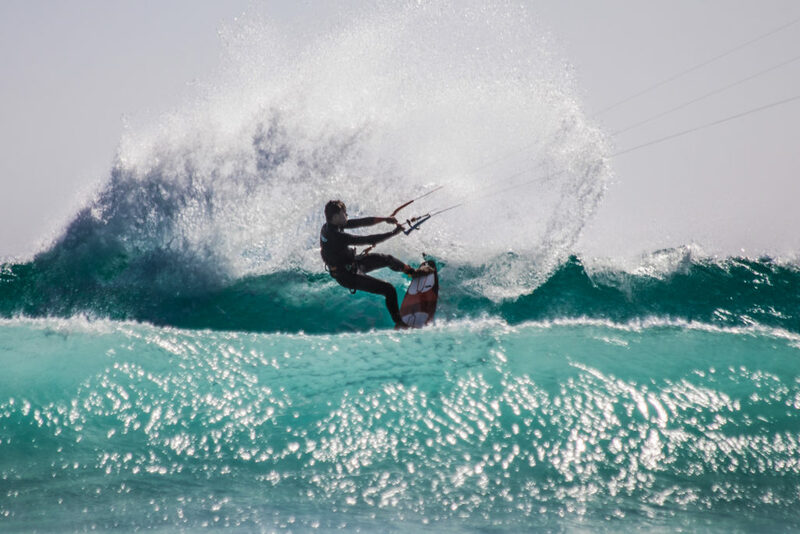 I started off with freestyle being my main focus, but then a few years down the line discovered wave kiting and began to put all my focus into waves, even though I do enjoy an occasional freestyle session with the boys. Q: What have you learnt from kitesurfing that you can apply to your own life? Just self-discipline and the right mentality. You can always apply those things to your daily life. Q: Do you follow a specific lifestyle and nutritional plan to stay in top form? I train 4 to 5 times a week at the gym with a personal trainer if I’m not on the water. In terms of nutrition, eating healthy is important as it also benefits your daily training process. 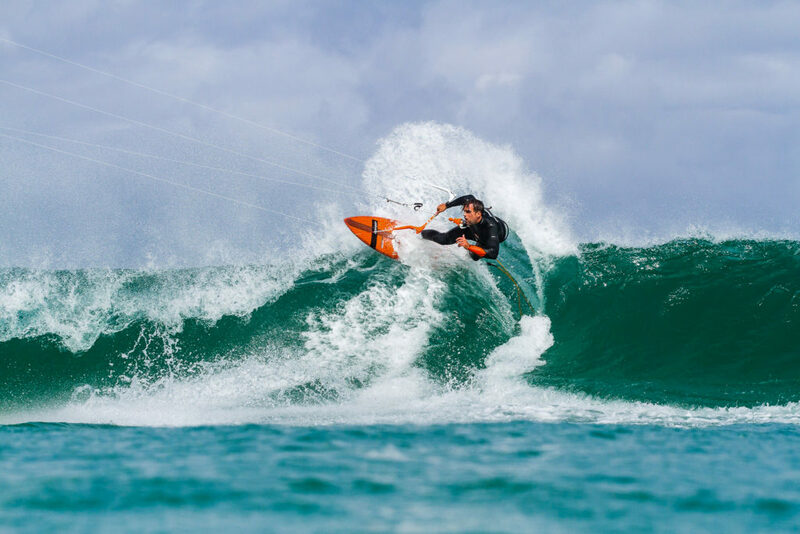 Q: How do you come back from disappointments in your kitesurfing career? It’s never easy to suffer a major disappoint, but the main thing is to always have a forward-thinking attitude and to come back even stronger than before. Q: Kitesurfing is considered quite a dangerous sport. Have you had any life-threatening experiences yourself? I wouldn’t say life-threatening, however, I have broken many bones from the sport and suffered bad injuries where I have been out for months at a time. Q: What is your favourite pastime when you are out of the water? I enjoy surfing and wakeboarding. Otherwise just chilling and having a good time with mates! Some of the top guys on the Kitesurf World Tour are an inspiration to me. I would say most of them are role models to me. Q: Who should we be watching in the next generation of kitesurfers? A: There are a few really talented up and coming kids currently on the circuit. In particular, I would watch Tom Bridge, a 17-year-old kid from the UK who is taking the sport by storm. Check out this video of the Bridge boys in action in South Africa. Awesome kite tricks. Q: What’s your next goal? To travel and create some of the best content and videos. Also, to hopefully be a top competitor on the World Tour in the forthcoming years.